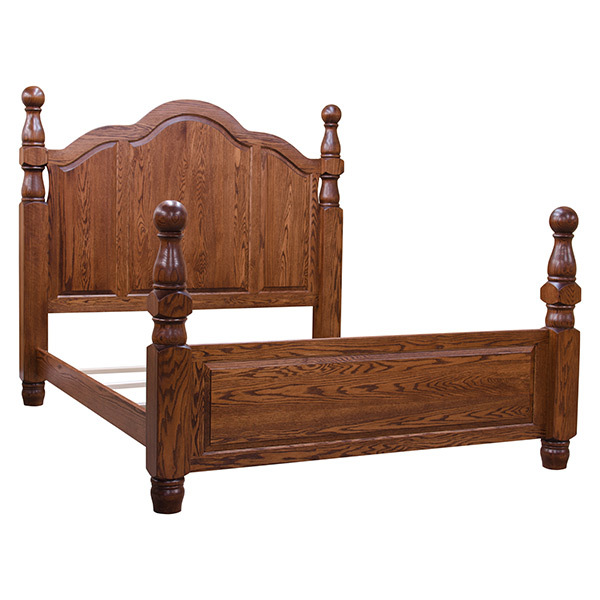 The Appalachian Four Post Bed boasts solid Red Oak wood construction and decorative turned cannonball posts. This beautiful piece features a classic style and is constructed to the highest standards. Admire the raised panels design on the Headboard and foot board. Its beautifully finish in the OCS 226 Coffee that adds elegance to this stylish bed. Moreover, this can be a center piece in your lovely bedroom. Note that this bed can be made in our standard woods and finishes. And lastly, this unit is proudly made without veneer, particle board and formaldehyde.